Leggi di seguito (in inglese) le dichiarazioni di Prudhomme, il direttore generale del Tour de France, all’agenzia France-Presse riportate oggi da Cycling News. Come per le radioline (avversate dalla TV francese) le idee e proposte di ASO, finiscono quasi subito nei regolamenti UCI. Sarà così anche in questo caso? Siamo sicuri che con 8 atleti avremo corse più vivaci e sicure? Cosa ne pensa RCS sport, l’organizzatore del Giro d’Italia? 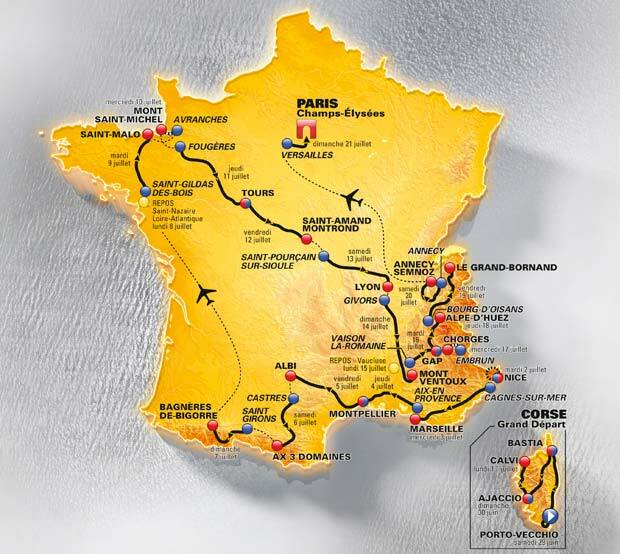 Eight-man teams at 2013 Tour de France? Tour de France director Christian Prudhomme has said that he would welcome plans to reduce the size of teams at the race in 2013. The UCI’s management committee holds a special meeting on Friday to discuss the fall-out to the Lance Armstrong affair, and it is understood that one of the proposals under consideration will be a reduction of team sizes in the Grand Tours, from nine riders to eight. “We wouldn’t complain about having one rider less on each team, mainly as a matter of security but also so that the race might be a little less deadlocked,” Prudhomme told AFP at the presentation of the route of the 2013 Tour in Paris on Wednesday. Such a measure would reduce the Tour peloton from 198 to 176 riders, and Prudhomme said that it was a more palatable option than simply inviting fewer teams. In 2013, the 18 WorldTour teams receive an automatic berth, while ASO will distribute four wildcard invitations. In 2012, three of the four wildcard slots went to French teams in order to ensure a certain quota of French riders in the field. Prudhomme also confirmed that there will be no time bonuses at the Tour de France in 2013, while there will again be just one intermediate sprint per stage per stage in the points competition.